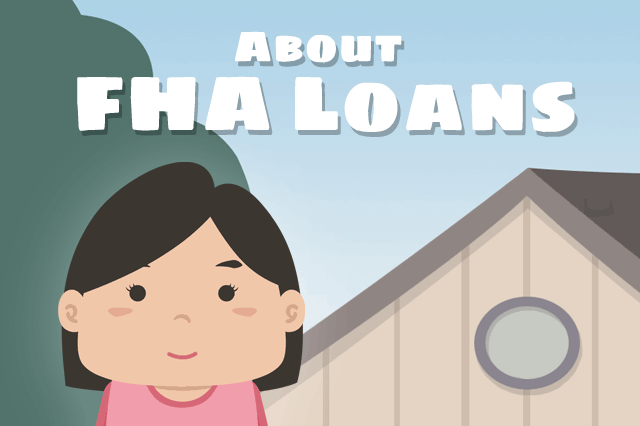 Are you new to the home loan process and need tips for buying or building a home using an FHA mortgage? There are three basic areas you should consider immediately once you decide for sure that you want to apply for a home loan. July 1, 2018 - Are you new to the home loan process and need tips for buying or building a home using an FHA mortgage? There are three basic areas you should consider immediately once you decide for sure that you want to apply for a home loan. FHA Home Loans for New Construction or Existing Construction Properties: Where Do You Need to Buy? Location is very important regardless of whether you want to buy an existing construction home with an FHA 203(b) mortgage or have one built for you using an FHA One-Time Close construction loan. Your choice of locations for your dream home should take into consideration proximity to major roadways, basic services and schools. But you should also do some research into the area itself to see if there are known problems with seasonal fires, floods, or other natural disaster issues. The proximity to high-voltage power lines, gas stations, or similar areas is also an important concern. A home too close to one or more of these may not get approval for an FHA mortgage, so it’s good to know how the location of the property may affect your transaction. The home may not be up to code when you select it, but it must be brought into compliance with building code and FHA standards as a condition of loan approval. You may or may not be interested in doing your own contractor work on a fixer-upper property, but you will need to discuss this with your lender to see what your financial institution permits with these types of loans. Some rehab work is more extensive than others; you may need to hire an outside consultant, architect, or other experts to properly start and finish certain types of work. You will need to work with the lender to make sure both FHA requirements and lender standards in this area are met. Both new purchase loans and FHA refinance mortgages offer borrowers the option to apply for an FHA Energy Efficient Mortgage (EEM) that allows extra funds for approved energy-saving upgrades. Like rehab loans, an outside expert may be required to certify that the upgrades meet FHA requirements and actually do save the borrower money on utility bills. This is an expense you will need to plan for in your home loan budget; it’s best to ask your lender what might be typical expense-wise for this type of project and how that expense may affect your costs and/or monthly mortgage payment amount. Energy-saving upgrades can include storm windows and doors, but also solar systems and other modernizing improvements. However, all upgrades must be FHA-approved and your lender may be able to provide you with a list of the possibilities allowed.